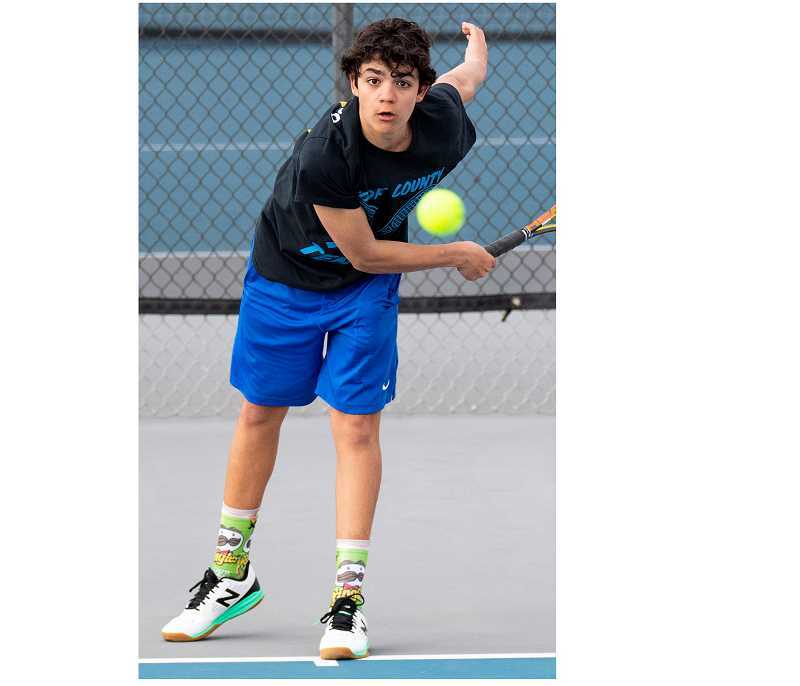 The host Redmond Panthers dominated play as they rolled to a 6-1 win over the Crook County Cowboys in Intermountain Conference tennis action Tuesday afternoon in Redmond. Redmond swept the three contested doubles matches, as the Cowboys failed to win a game. Jeremy McCullough and Nick Cushman fell 6-0, 6-0 in No. 1 doubles play. Ty Cross and Yuya Yamaguchi lost by the same score at No. 2 doubles, while Ben Sather and Tucker Bonner were also blanked in No. 3 doubles play. The Cowboys picked up their lone win at No. 1 singles where Pablo Casado rolled to a 6-1 victory over Ben Brooks in the their first set, then was leading 3-0 in the second set when Brooks withdrew. Like in doubles play, the remaining three Cowboy singles players failed to win a game as Moses Freauff, Jordan Owens and Kevin Chu each lost 6-0, 6-0 to their Panther opponents. The Cowboys hosted The Dalles on Thursday. The team then goes on the road again on Tuesday, April 16 when they play a 4 p.m. match at Hood River Valley.